Go to Say it With Stitches for gift giving made easy! Create unique gifts in the Osprey area at Say it With Stitches. From embroidered blankets to skillfully embroidered tote bags, we have gathered a large selection of embroidered gifts that will meet your need. 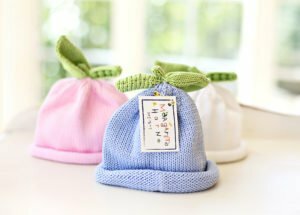 Embroidery gifts may display a family name, a single name and they may also feature a newborn baby’s birth info. Whatever your gift may be, Say it With Stitches can make it extra special with our embroidery technicians and designs. When you want to show your family and friends exactly how much they mean to you, choose a gift from Say It With Stitches. The pressure to find something that is unique can be a little stressful because you want to express your feelings in exactly the right way. By adding a personalized touch you can say “I Love You” in a way that is memorable and creative. Contact Say it With Stitches today for Gift Giving Made Easy in the Osprey area. We serve Sarasota, North Port, Venice, Englewood, Nokomis, Osprey, Siesta Key, South Venice and Casey Key.